BRING ALL OFFERS. MAJOR PRICE REDUCTION + SELLER PAID HOME WARRANTY. Move in ready or easily decorate it your way. 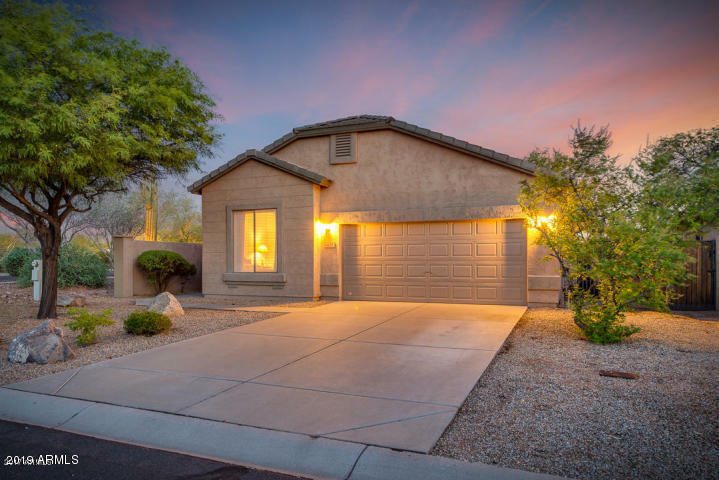 In the exclusive Superstition Foothills Community, located on a QUIET RESIDENTIAL STREET, this LARGE 1705 Sq Ft, sunny, three bedroom home offers VAULTED CEILINGS, OPEN KITCHEN with large island; brand NEW MICROWAVE, STAINLESS APPLIANCES and a GAS RANGE. Enjoy a GREAT ROOM with FIREPLACE, VAULTED CEILINGS, COVERED PATIO. Brand NEW CARPETING throughout and NEW HVAC installed in 2018, ensure EXCEPTIONAL COMFORT, TROUBLE FREE MAINTENANCE and PEACE OF MIND. The exclusive and quiet community offers access to over 50 pleasant walking trails, an exceptional HEATED COMMUNITY POOL AND SPA and close proximity to shopping, dining and Superstition Mountain recreation.